"...In the days of vegetable dyes, red was the cheapest to use as it involved a single step process with an inexpensive raw material. Which is why the First Fleet carried cochineal beetles and their host cactus, Prickly Pear. The colony, and the soldiers providing security against the welcoming inhabitants and virtuous convicts, needed to be as self-sufficient as possible - they were a long way from an 18th century Target..." Upfront Outback, April 2016. Introduced cacti are highly invasive plants belonging to the Cactaceae family. Apart from the First Fleet's cochineal dye production raw material, there have been subsequent introductions for stock fodder, garden ornamentals or hedges. Some of the most invasive, or aggressive, or hardest to kill are the Opuntioids which include the three genera: Austrocylindropuntia; Cylindropuntia; and Opuntia, all originating from the Americas. ​Opuntioids impact on Australia’s environmental, agricultural and social values, as well as posing a risk to animal and human safety. They are a complex and diverse group of plants that are difficult to accurately identify and challenging to manage due to the large number of species, their spiny nature and tendency to often be located in remote and inaccessible areas. 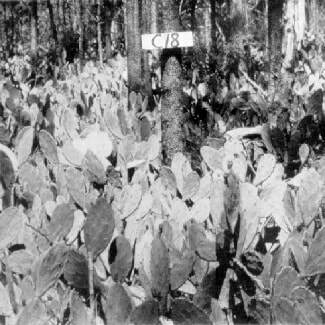 The biocontrol agents were so effective that by the 1930s they had successfully reduced all large infestations of Prickly Pear and the agents were being used on other sites across the world. However, by this time other cacti species had started to establish throughout Australia and although biocontrol agents remain, not all agents impact on all species, leaving significant gaps in the effectiveness of the current biocontrol agents impacting on the full range of Opuntioids. There are now at least 27 species of opuntioid cacti that have become established as weeds, spreading considerable distances from the original point of introduction. A survey conducted by the Rangelands NRM Alliance and the ongoing work of the AICN has identified infestations in every mainland state and territory. 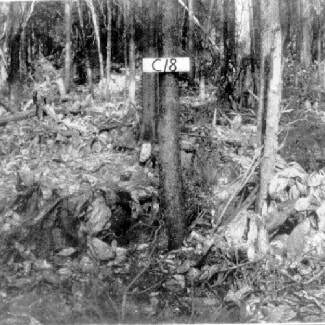 In several regions where there were extensive infestations, the costs of chemical control exceeded the value of the land. It was also found that for most species of cacti in the rangelands there was limited or no currently effective biocontrols, though there may be potential for cochineal insects (Dactylopius spp.) to be useful with further research. A potential exception are the nymphs of the cochineal (Dactylopius tomentosis - fulgida biotype) insect that attacks Coral Cactus only. Field trials near Longreach, Queensland, in 2016 have shown that the nymphs, which move on the wind, have progressed almost 40 metres from their release site in seven months. This is despite the cool and unseasonally moist conditions as opposed to their preferred hot, dry conditions. The composite image below show various stages of the cochineal (Dactylopius tomentosis - fulgida biotype) insect. From let to right: moult female; female and egg mass; egg mass dewaxed; emerging nymphs; male prepupae; male pupae; male emerged (constituent images courtesy Queensland Department of Agriculture and Fisheries). The very successful biocontrol of Prickly Pears in southern Queensland and northern New South Wales by Cactoblastis caterpillars has not translated to drier or cooler climates. While awareness of the impacts of invasive cacti has increased since 2012, cacti remain popular garden plants and are readily available through formal and informal sales outlets. Some species, such as the edible Indian Fig (Opuntia ficus-indica) and common Prickly Pear, are commonly found in backyards and peri-urban areas. More concerning, however, is the occurrence of species in remote and sparsely populated rangeland areas. They pose a threat to much of the arid and semi-arid parts of Australia with major infestations in Queensland, NSW, South Australia, Western Australia, Victoria and the Northern Territory. In early 2012, the opuntioid group of cacti were declared Weeds of National Significance. This group includes all species of opuntia (with the exception of the Indian Fig (Opuntia ficus-indica) and all members of the Cylindropuntia and Austrocylindropuntia families. Listing as a Weed of National Significance was followed by the development of the National Opuntioid Cacti Strategic Plan. This plan identifies the priority activities needed to prevent new infestations from occurring, manage existing infestations, and increase the capacity of people to manage opuntioid cacti. The battle to reduce the impact of invasive cacti is ongoing. New biocontrol agents continue to be developed and many landholders and community groups are controlling cactus at sites around the country. ​If you're interested in finding out more about the history of prickly pear, check out the North West Weeds website here. - Case study examples of how, when, where and why people are managing these weeds. It is anticipated that an electronic form of the manual will be available in late 2017 with the hard copies available early in 2018.